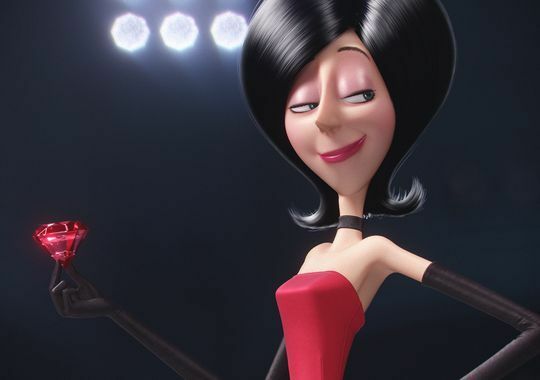 Universal has released new Minions images, and they provide us the first look at the film’s human lead character, the villainous Scarlet Overkill (voiced by Sandra Bullock). The upcoming prequel-spinoff features three lovable minions—Kevin, Stuart, and Bob—as they seek to serve a new supervillain in the 1960s. The film also functions as an origin story as we see how the minions have inadvertently proven to be the downfall of history’s conquerors ranging from the T-Rex to Genghis Khan to Napoleon. If that doesn’t sound fun enough, Scarlet’s evil sidekick is her husband, Herb Overkill, who is voiced by Jon Hamm. The character is so in awe of Scarlet that he took her last name. Despicable Me 2 felt more like a set-up for Minions than a proper sequel to Despicable Me, and so I’m hoping that the upcoming spin-off delivers on the promise of the cute, little weirdoes carrying the picture. 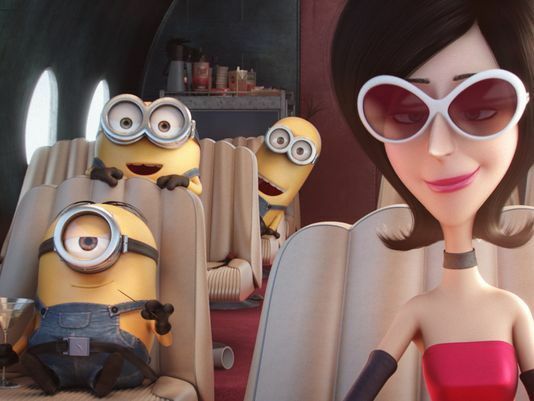 Minions opens in 3D on July 10th. A new trailer debuts on Tuesday. The trio embarks upon an adventure that ultimately leads them to their next potential master, Scarlet Overkill (Academy Award® winner Sandra Bullock), the world’s first-ever female super-villain. They travel from frigid Antarctica to 1960s New York City, ending in mod London, where they must face their biggest challenge to date: saving all of Minionkind…from annihilation. DOWNTON ABBEY Recap: "Season 5, Episode 5"